Ever since I learned about pelagic trips, I’ve had them on my wish list. 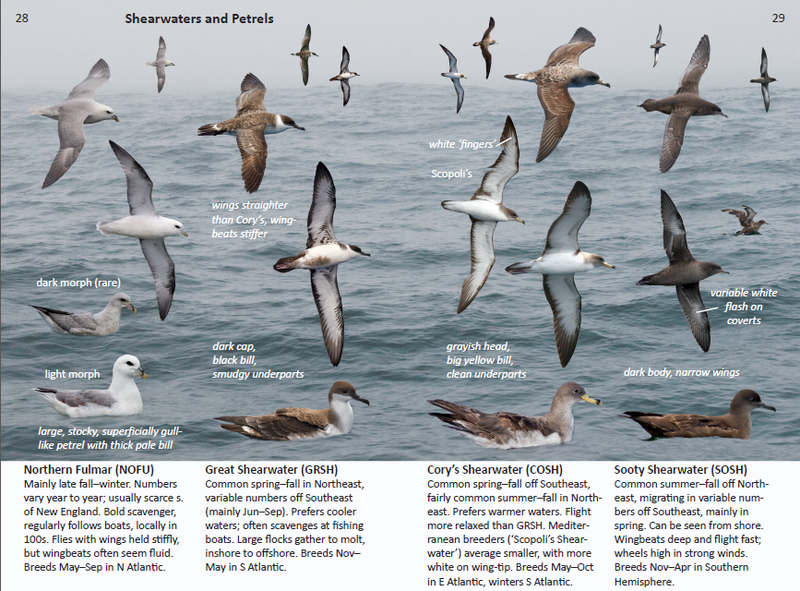 And until I get the chance to see petrels, guillemots, and shearwaters in person, I’ll happily read through my new copy of the Offshore Sea Life ID Guide: East Coast by Steve N.G. Howell, a seabird expert, and Brian L. Sullivan, an eBird project leader. This new guide, along with the Offshore Sea Life ID Guide: West Coast, was recently published by Princeton University Press. 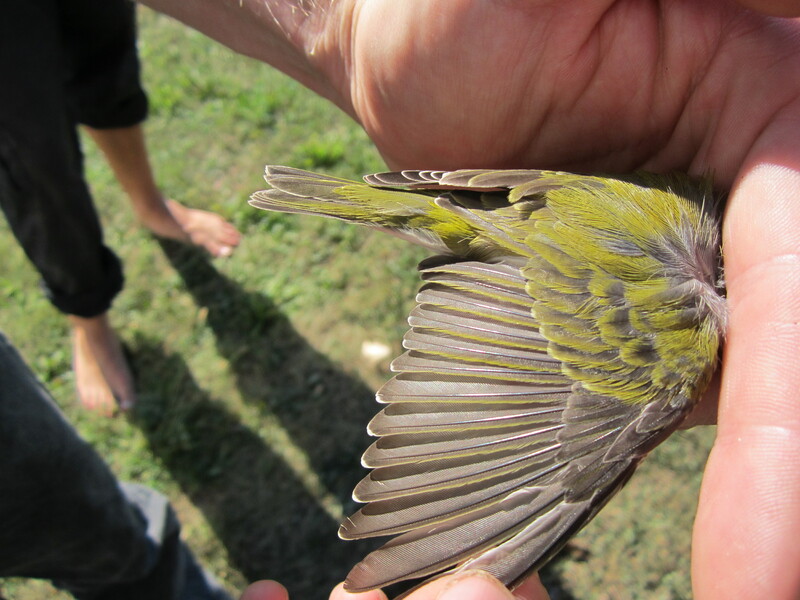 The eastern guide covers 39 bird and 21 mammal species, and the western guide covers 43 birds and 22 mammals. Because the guides is geared toward offshore species, it doesn’t include animals such as loons, Harbour Seals, and sea ducks that you can see just off shore. The Offshore Sea Life ID Guides cover the sealife to be found farther out in the pelagic zone, more than a mile from the shoreline. I have many ID guides for birds, but none for whales, dolphins, or flying fish, so the new volume gives me extra incentive to study up on the species I don’t know as well. The guide is meant to be a handy resource for on- and off-shore pelagic trips; it’s very thin so it can fit in a larger jacket pocket or take up little space in a backpack. One of my favourite parts of the book is the Quick Page Finder on the inside cover. The book begins with an introduction of the oceanic environment, followed by an explanation of location abbreviations and a glossary. The species accounts for Marine Mammals come first, followed by Seabirds, Sea Turtles, Flying Fish & Squid, Billfish, Sharks, Seaweeds, and other sea life. The last page includes species codes, scientific names, and the index. The back cover has a map of the east coast, south of Canada to the tip of Florida and as far east as Bermuda. Because views of marine mammals in the wild tend to be brief and limited to tails, dorsal fins, and flippers, the book’s focus is on those key features to help identify whales and dolphins. Of course, you have a better chance with seabirds to see the entire bird, but between a rocking ship and similar plumages, identification can still present challenges. Seabirds are shown in both immature and adult plumages, different colouration morphs, in flight (toward and away), paddling on the surface, and sitting on the water. There are 120 colour photos in the book and are arranged in Crossley-style composite photos. 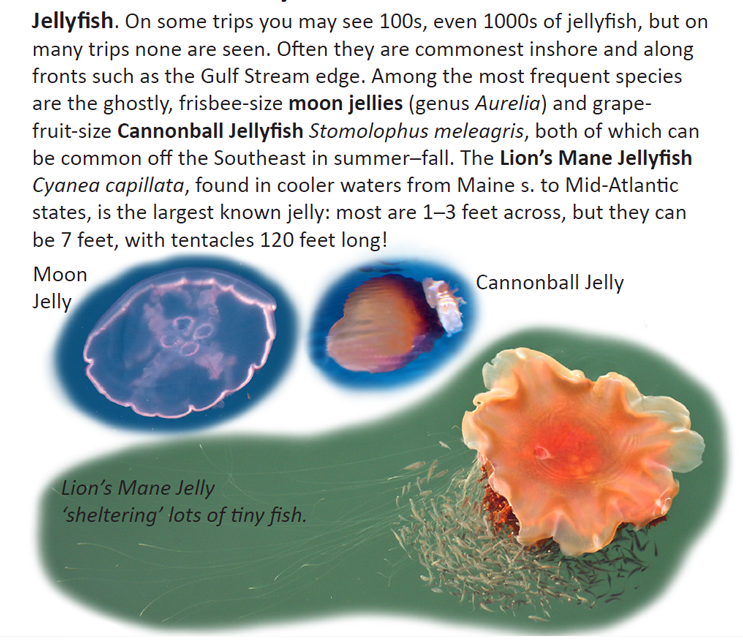 The photos are digitally compiled to appear as if you are viewing each species from aboard ship. The species accounts are concise with very large, easy to read font. 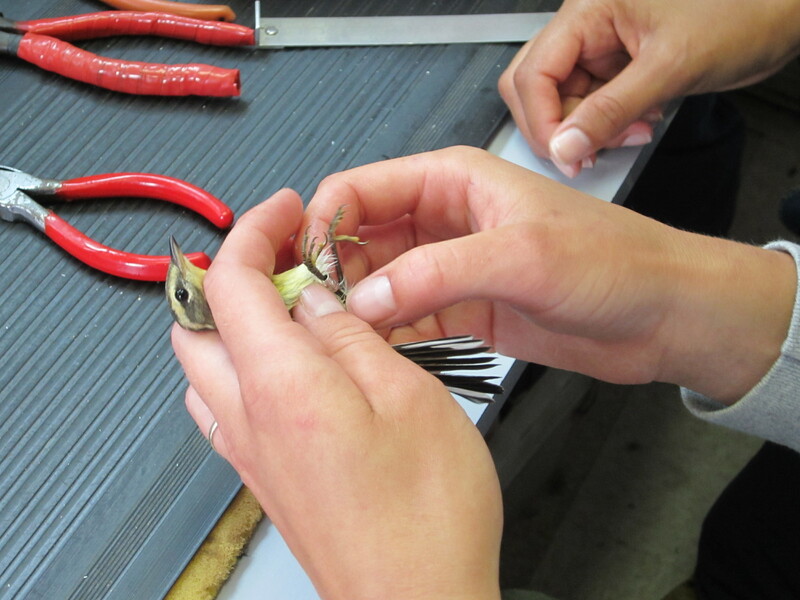 Common name, banding code, and the time of year the animals are most likely to be seen make up most of the accounts. 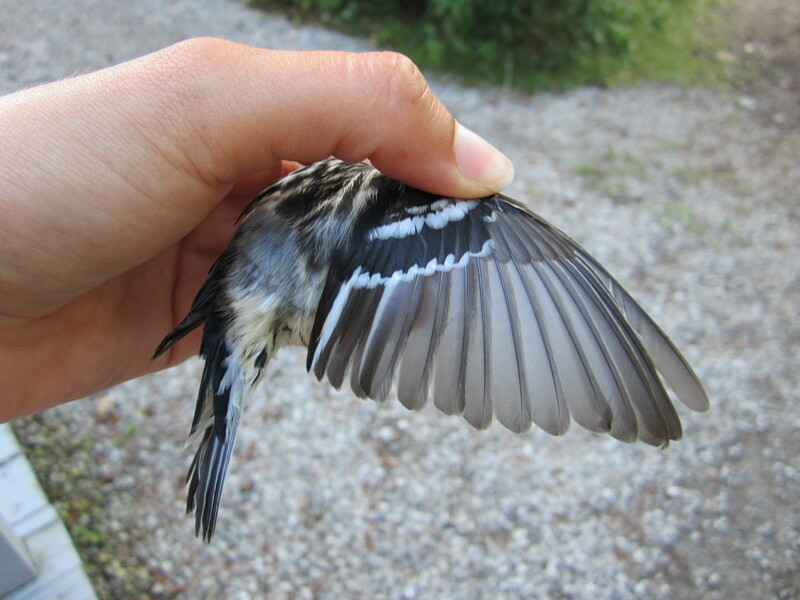 Flight patterns and wing molt are heavily covered for seabirds. The volume includes page numbers when citing other species in the species account. I really like this guide and definitely will bring it with me on my first Atlantic voyage. The Offshore Sea Life ID Guide is a well-designed and highly informative book that would benefit both beginning and advanced birders who want a convenient and affordable guide to eastern sealife. Thank you very much to Princeton University Press for providing me with a review copy. 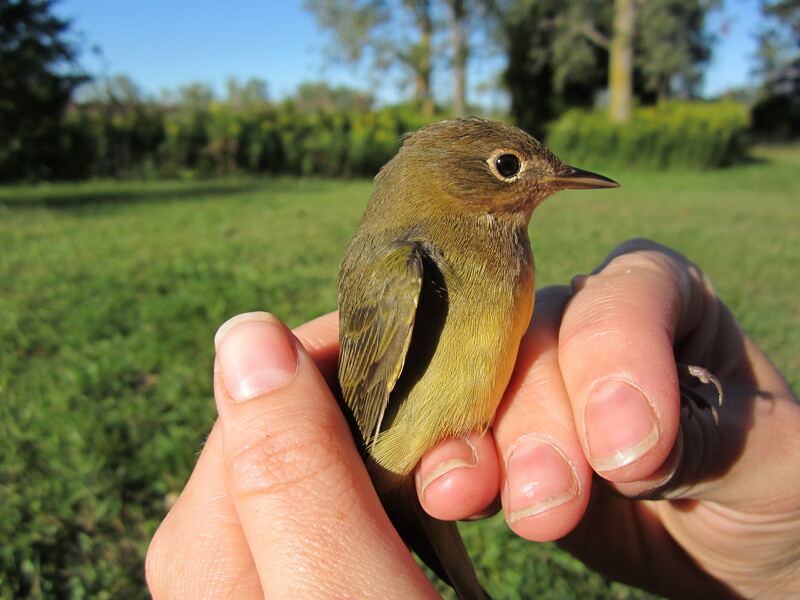 The Warbler Guide and App Winner! I’m sorry for not publishing this on Christmas Day, but with the arrival of a new ram for our flock, Santa, and then helping out with our community Christmas Day dinner, the day got away from me. Congratulation to Nicole R., the winner of this month’s holiday giveaway of The Warbler Guide, and the new Warbler Guide app. Thank you to everyone who entered, you were all very close with your guesses. A special thank you to Jessica from Princeton University Press for making the giveaway possible. 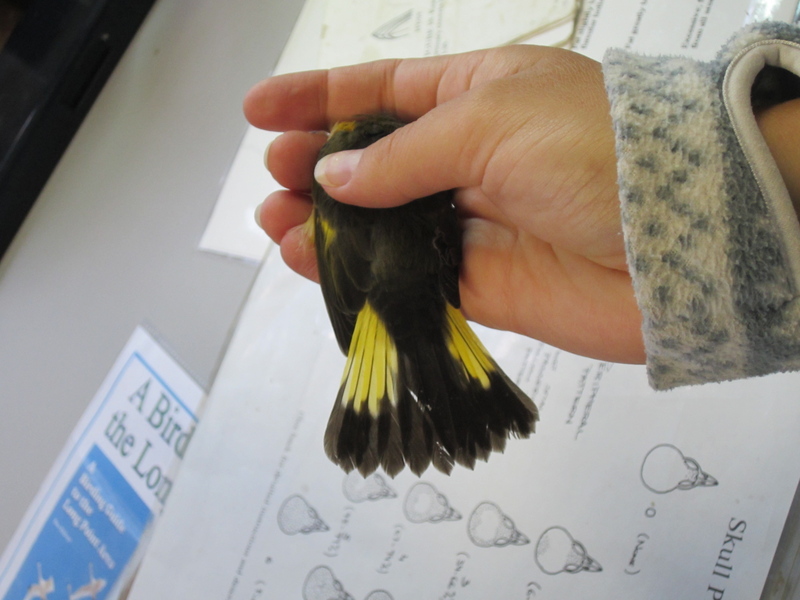 Happy birding in the new year with your new app and book, Nicole! Here’s another chance from Princeton University Press to win a copy of the The Warbler Guide app (now out on iTunes), a copy of The Warbler Guide, and also a pair of Zeiss TERRA ED binoculars; click here for your chance to win theses great prizes. 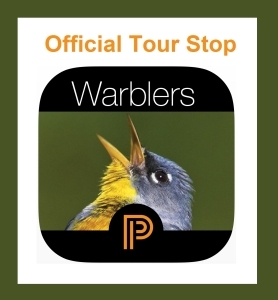 I’m very excited to be a part of The Warbler Guide App blog tour in partnership with Princeton University Press, to promote the new Warbler Guide app, which will be released soon. And please be sure to head over there to see the other blogs participating in the tour. Some of the exciting features of the new app include 3D models of birds in all plumages; under-tail views; and the ability to find birds by filtering by colour, alphabetical order, song type, and taxonomic order. 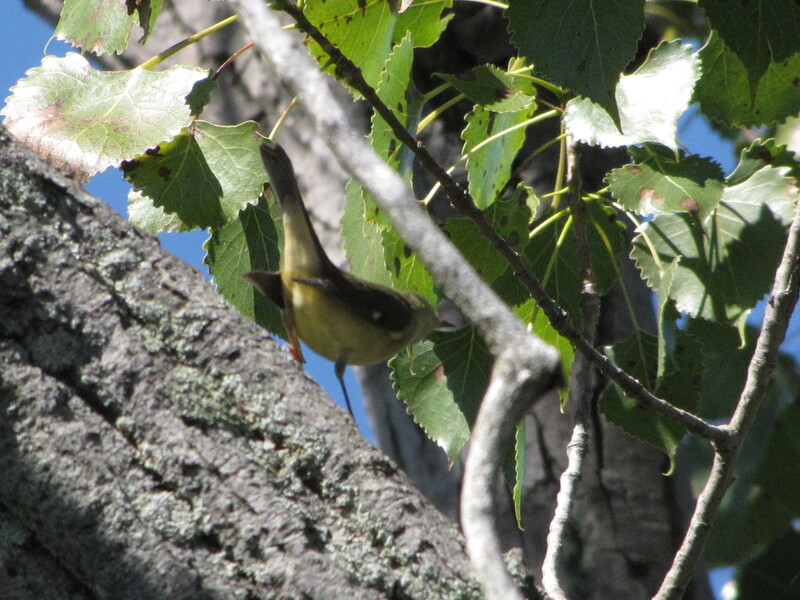 Below are five photos of unidentified warblers, all taken by me at the Long Point Bird Observatory, Long Point, Ontario, in 2012 and 2013. The photos are labelled #1, #2, #3, #4, #5, #6, and #7. 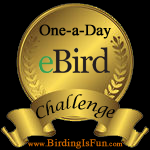 To enter the contest, just leave a comment in this post with your bird ID for each number. 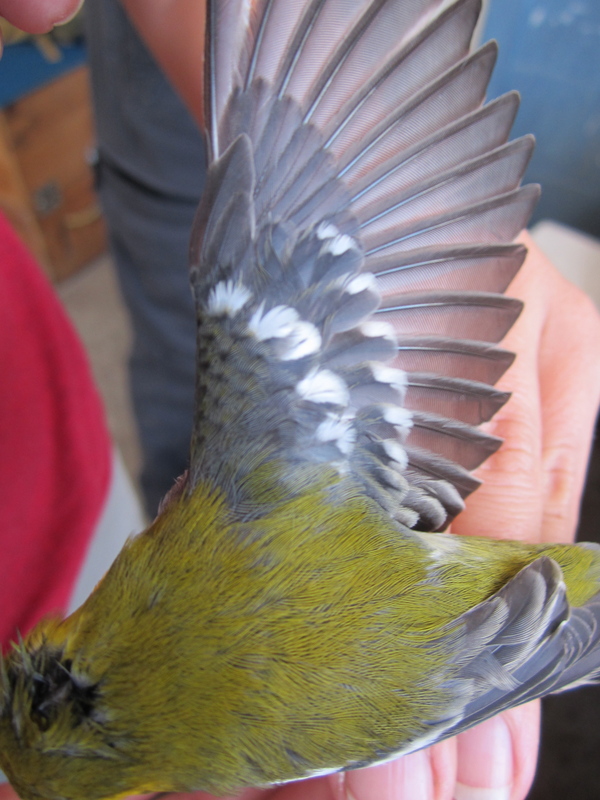 The person who correctly guesses the most species wins a copy of both The Warbler Guide book (print edition) and the new app as well! Thanks to Jessica at Princeton University Press for providing me with the book and app. The deadline to enter the contest is December 24th, and I’ll announce the winners on Christmas Day. 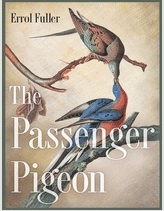 Congratulation to Bob L. and Jennifer, the winners of this month’s double book giveaway of The Passenger Pigeon by Errol Fuller, published by Princeton University Press (September 2014). Thank you to everyone who entered, and especially to Jessica Pellien from Princeton University Press for making the giveaway possible. 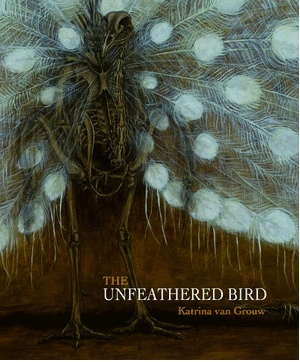 Congratulation to Therese S. and Megan M., the winners of this month’s eBook giveaway of recent The Unfeathered Bird and the new Ten Thousand Birds. Thank you to everyone who entered, and especially to Jessica Pellien from Princeton University Press for making the giveaway possible. 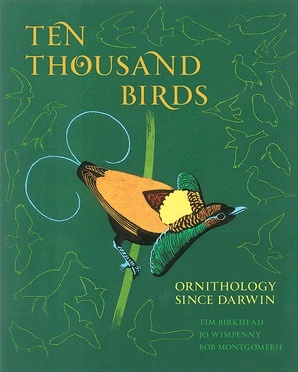 There are still several days left to enter my giveaway for copies of the eBook editions of Ten Thousand Birds and The Unfeathered Bird! To enter the contest, just leave a comment in this post (or my previous one) with the name of which of the two ebooks you’d prefer. For a second entry, head over to my Facebook page and “Like” it. Please mention below in your comment that you’ve done so. After two random draws, I’ll announce the winners on February 22nd.